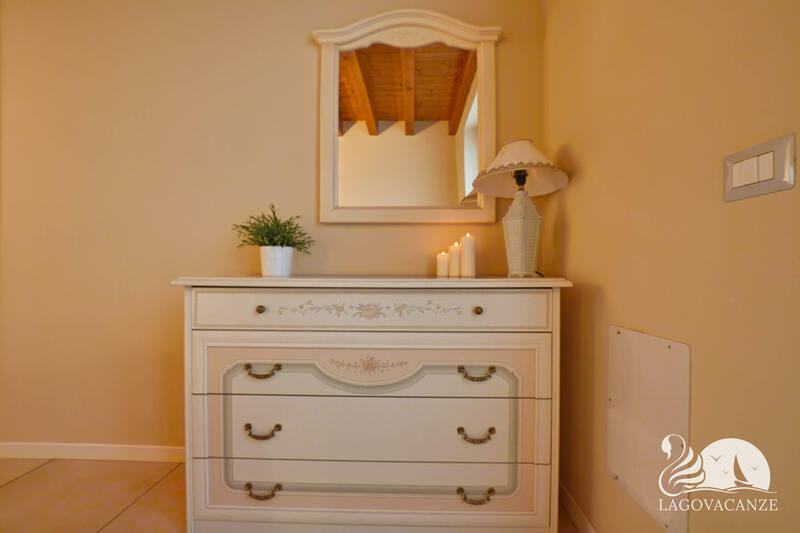 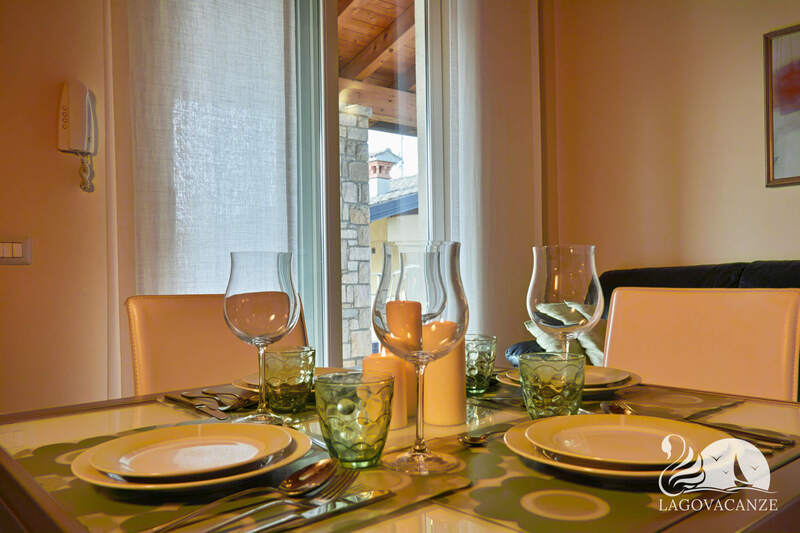 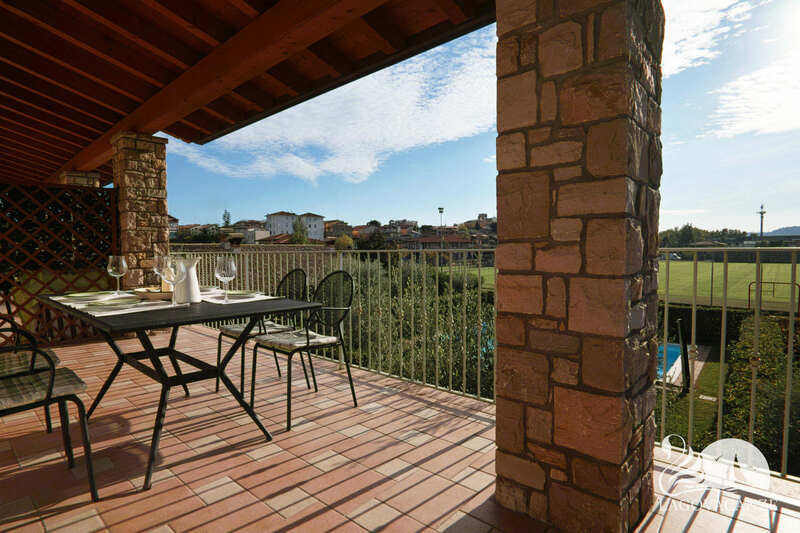 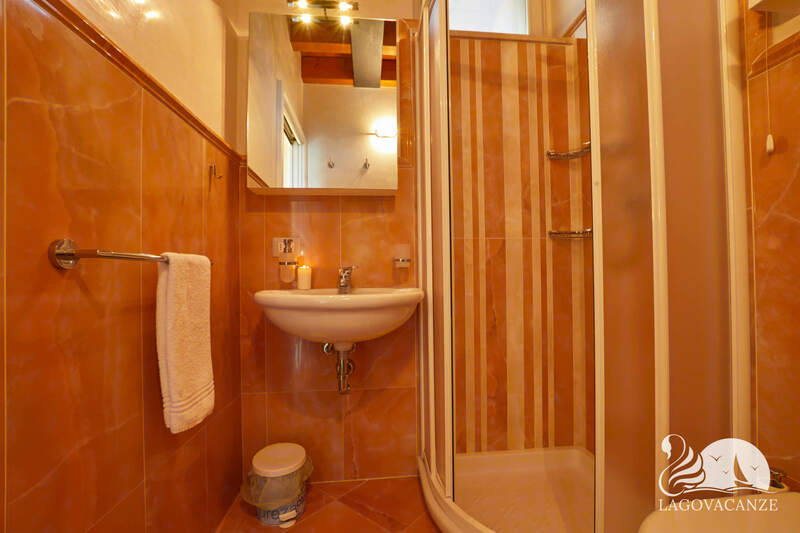 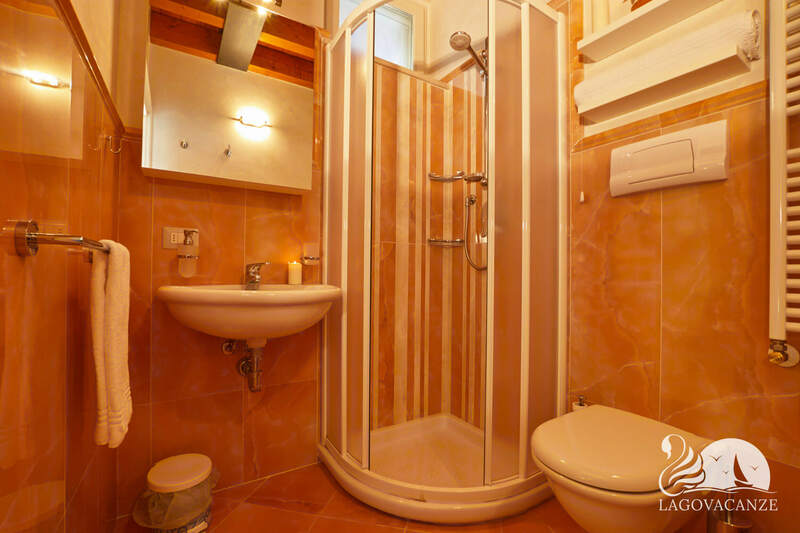 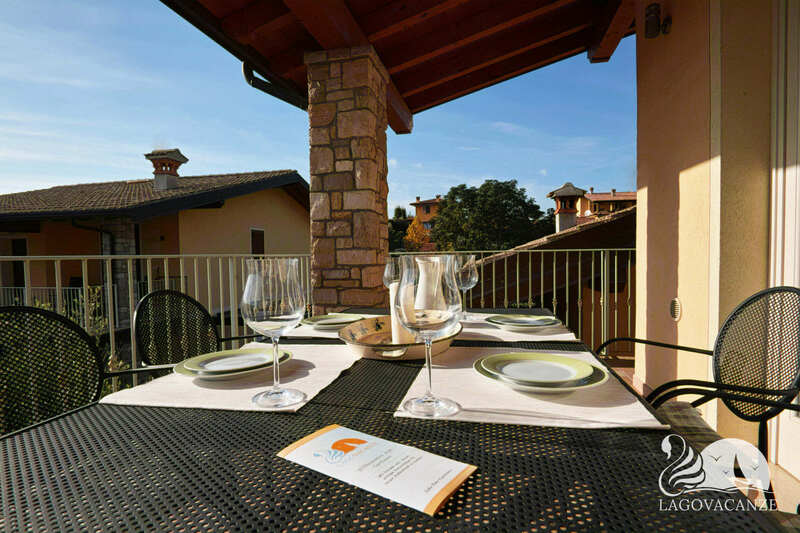 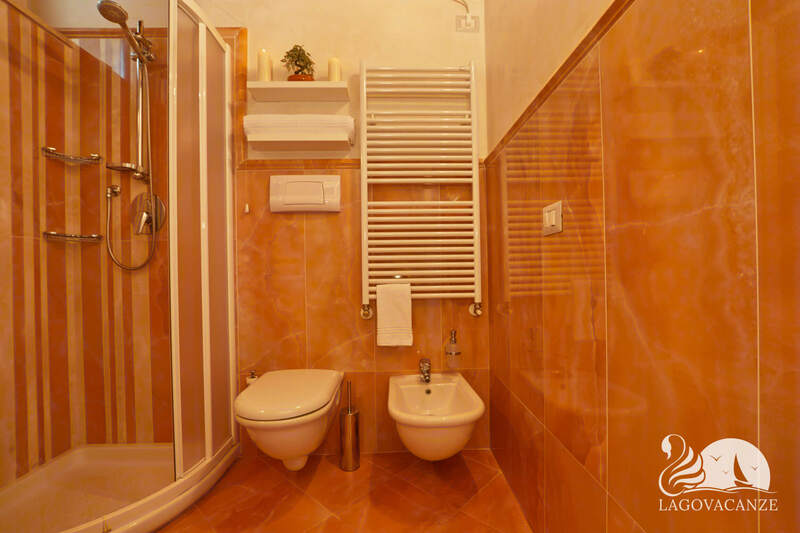 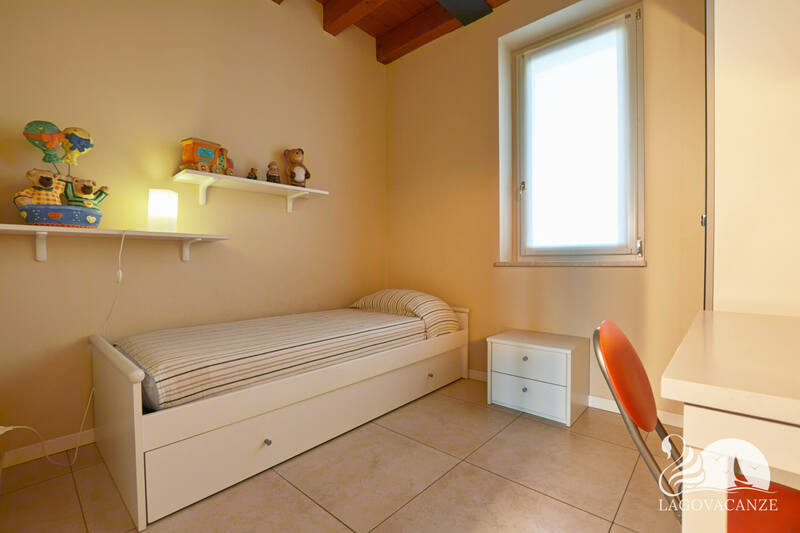 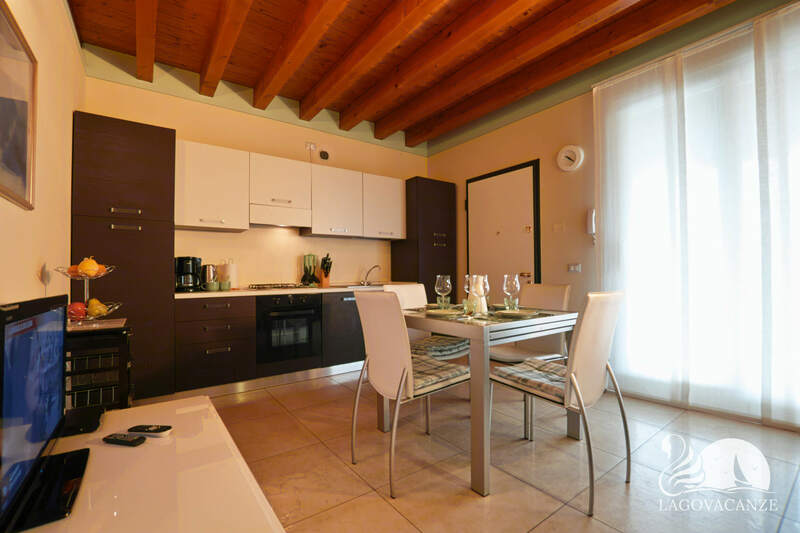 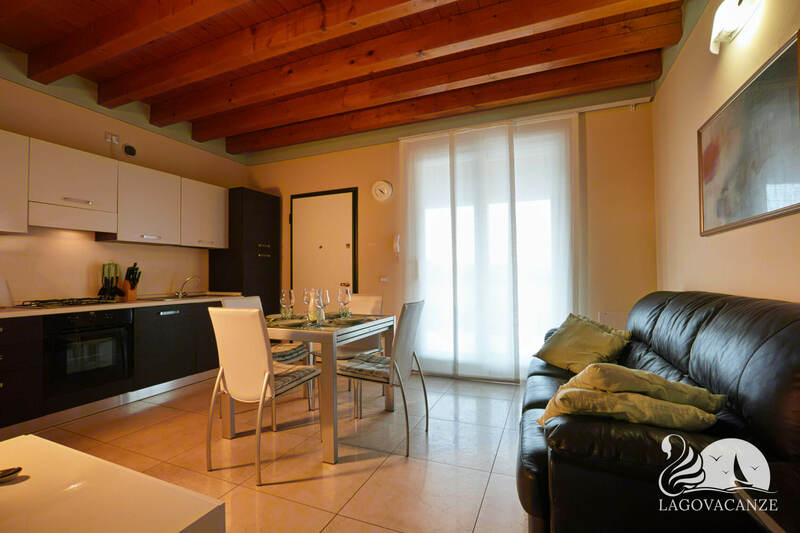 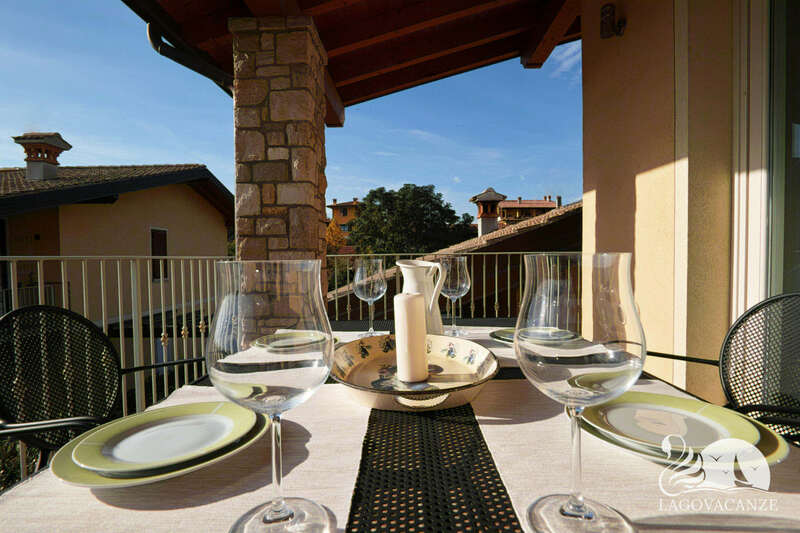 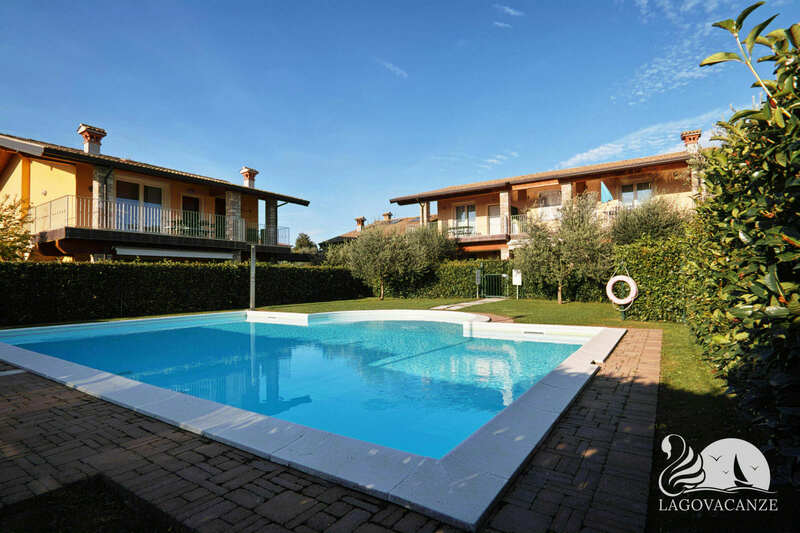 Apartment to holiday rent on Moniga del Garda in a marvelous residence on Garda Lake, ideal position for visit all Garda Lake. 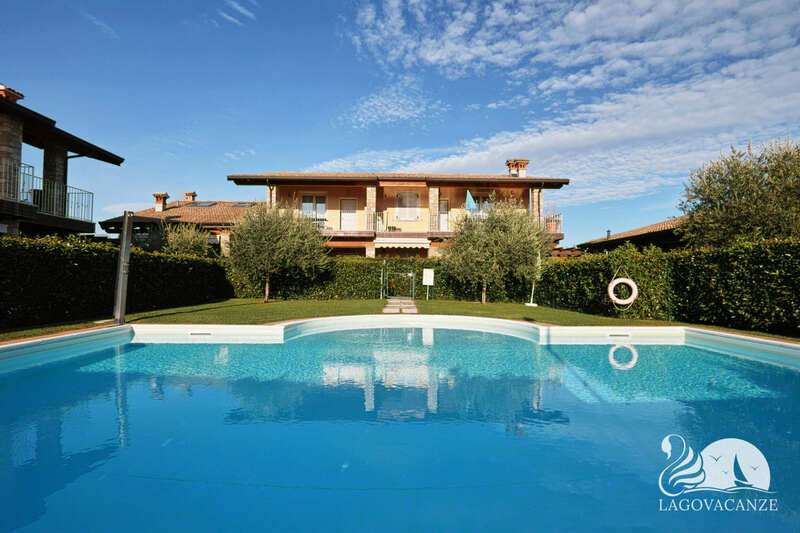 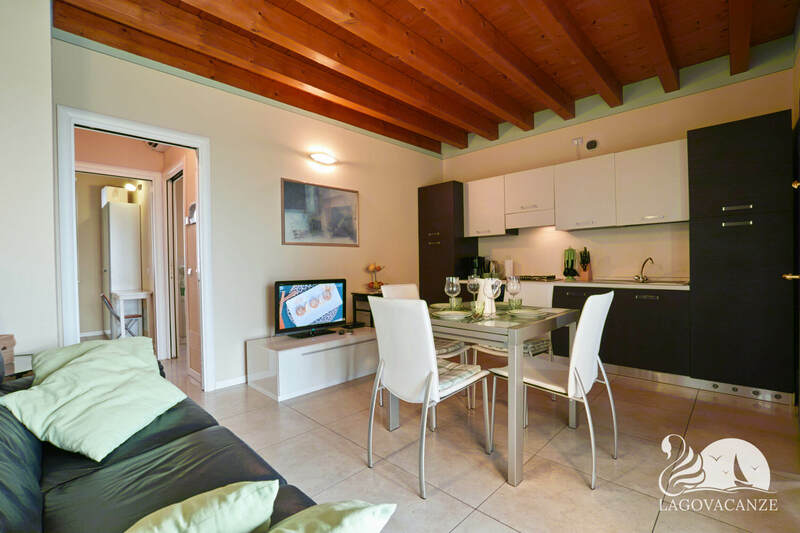 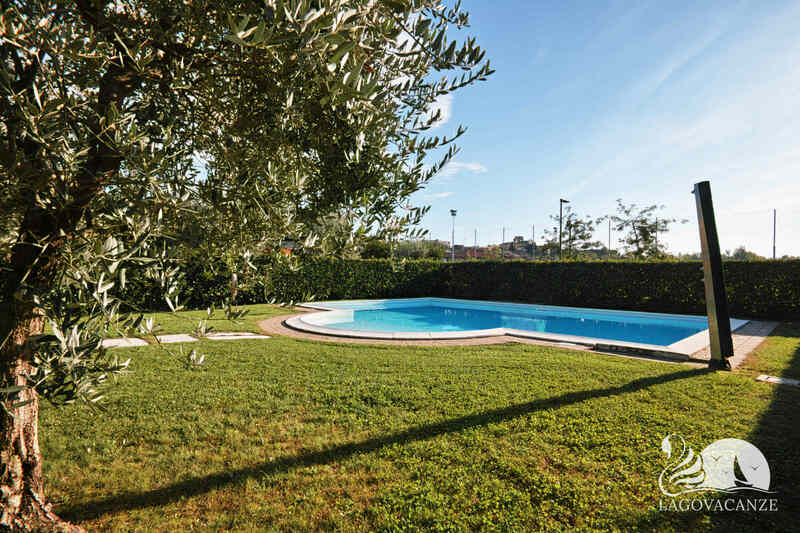 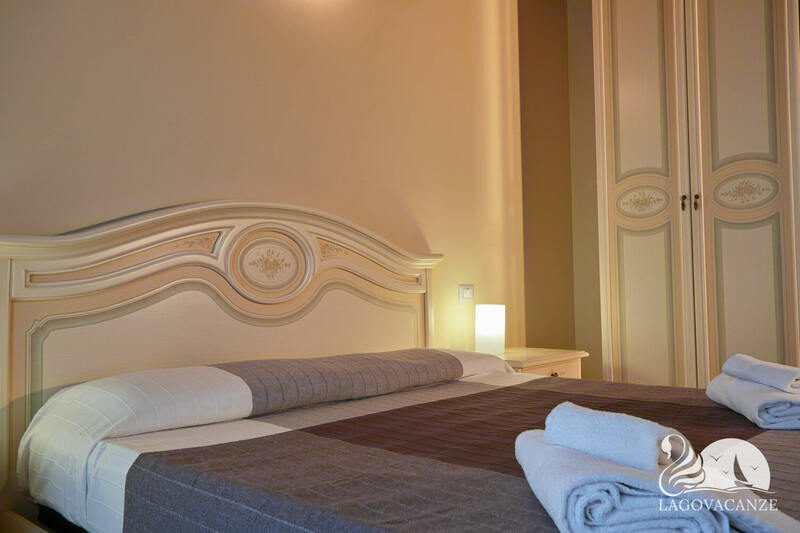 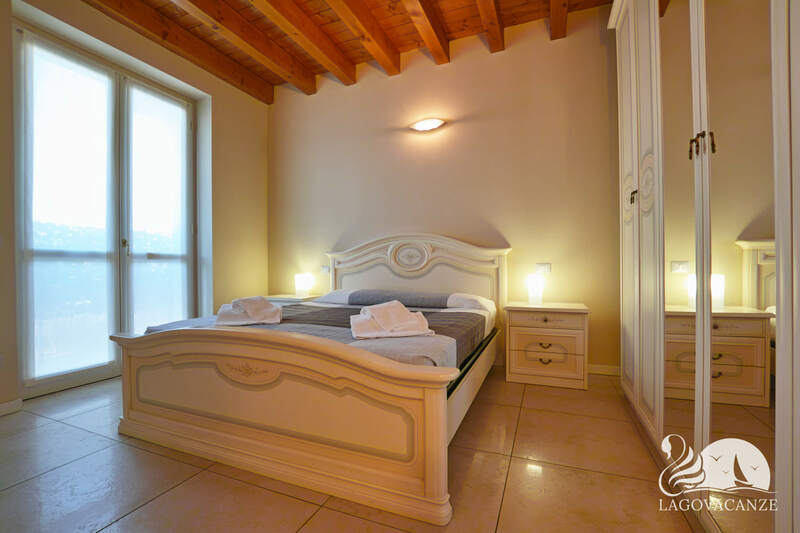 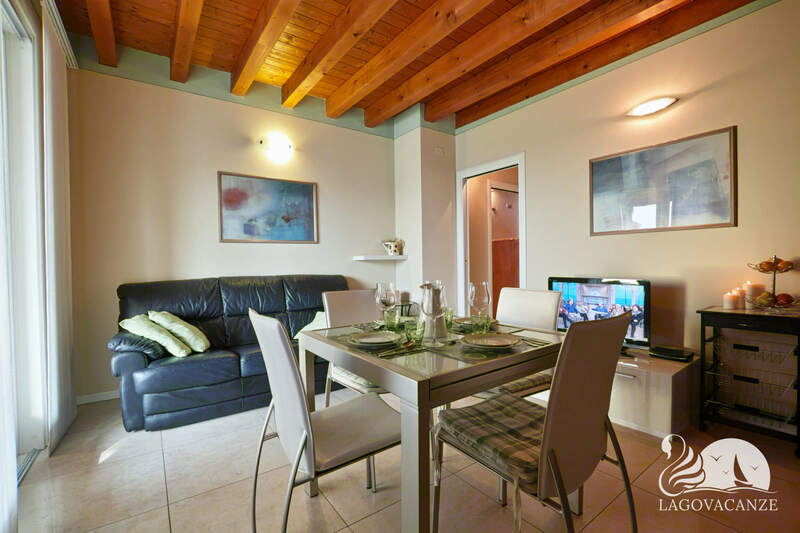 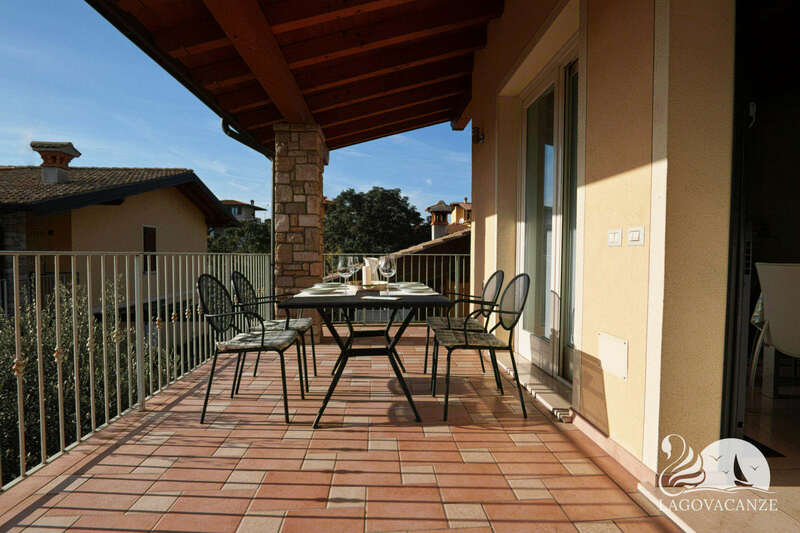 The apartment is located in a beautiful garden with common swimming pool and private terrace, ideal for spend your holiday with your family up to 4 people in relax nearby the Garda Lake. 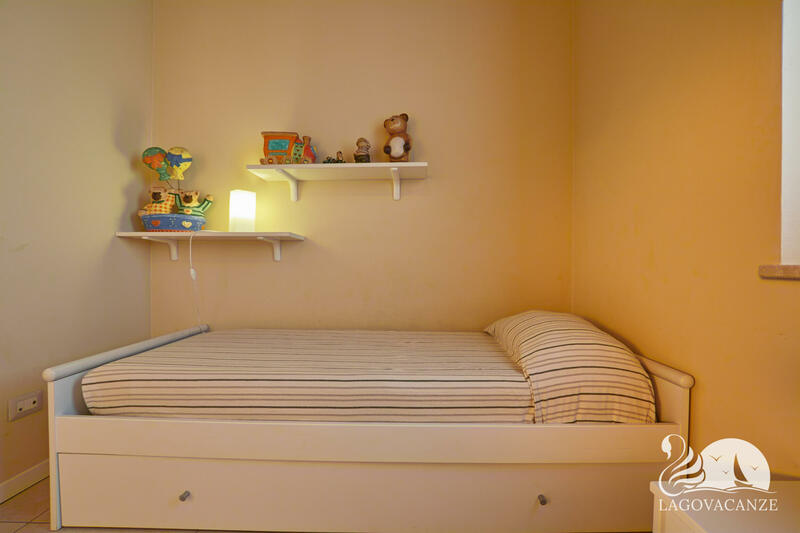 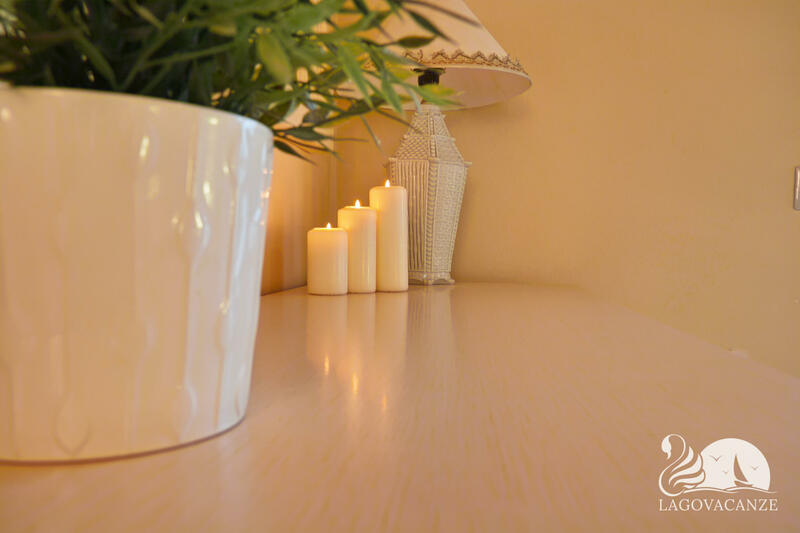 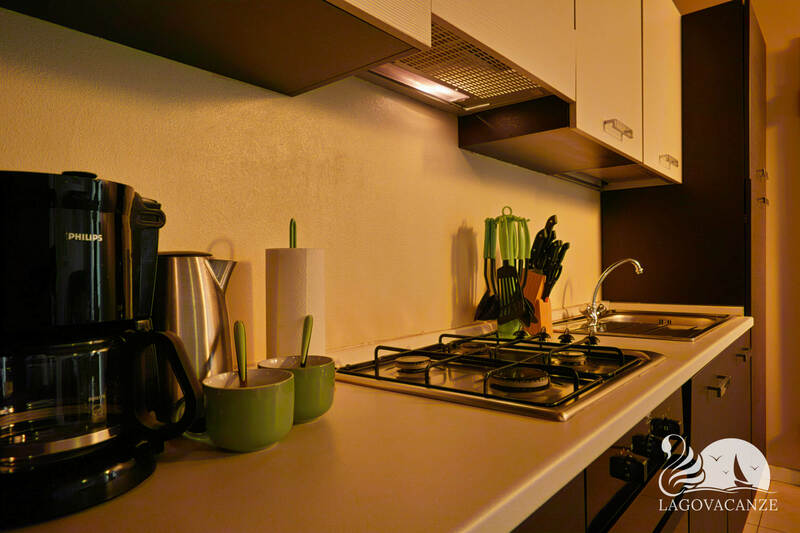 The apartment have every type of comfort and accessorise, the living room have tv, dining table, leather couch, with wi-fi, air conditioning and equipped kitchen. 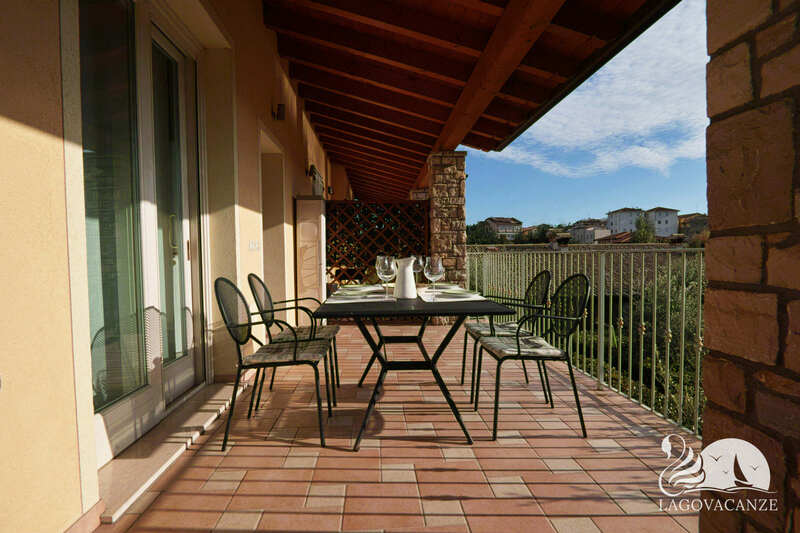 The private terrace is furniture with dining table for enjoy your holiday with your family in summer and spring evenings. 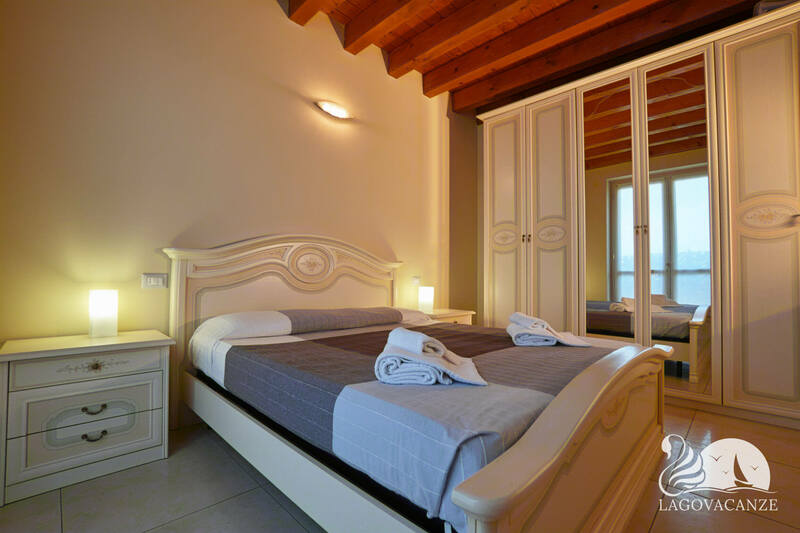 The bedrooms are one with master bed and the other one with single and foldaway bed, both bedrooms are furnished in a contemporary style. 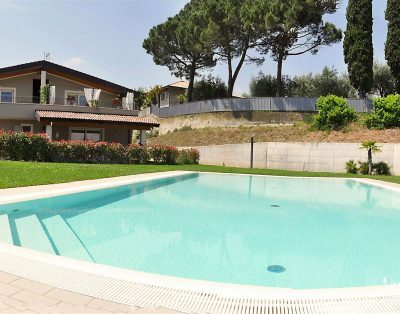 In the outside available to residents there is a marvelous swimming pool surrounded by the garden for enjoy the summer sun. 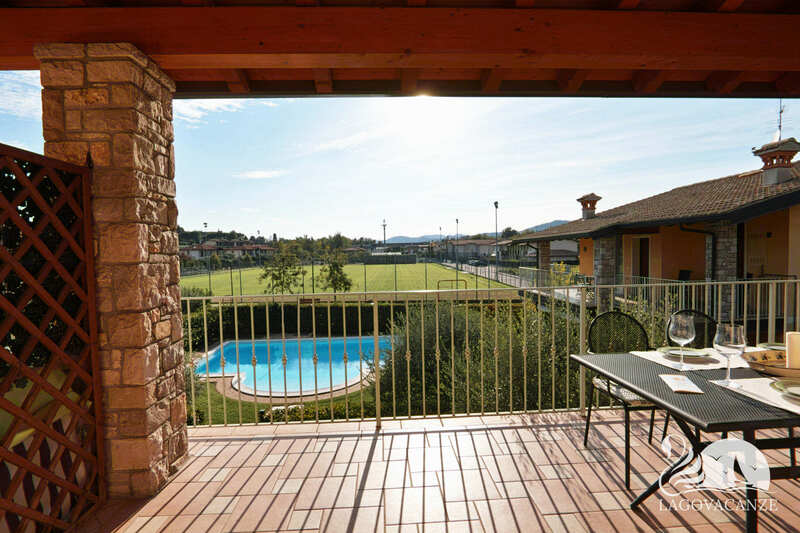 Private terrace and common swimming pool.